Pak vis in oondpan, bedruip met Griekse slaaisous, maak skyfies fyn, en strooi bo-op vis. In a preheated 180 degree’s Celsius oven bake for 20/25 minutes until cooked. 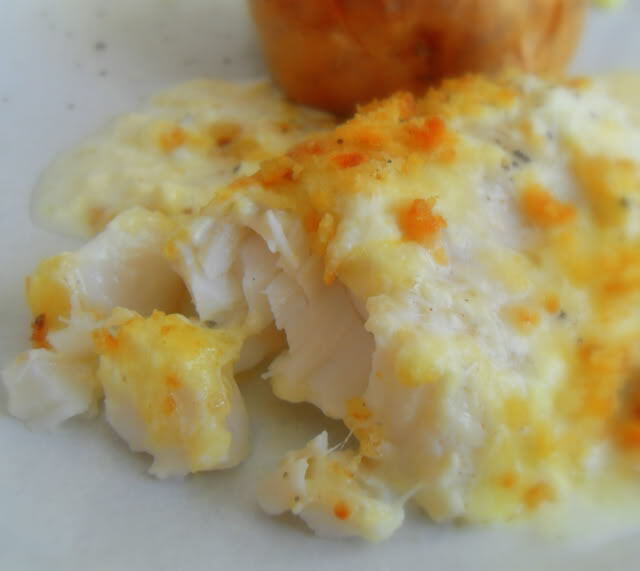 This fish dish is full of cheesy flavour with a dash of curry powder for extra flavour and paprika for colour. 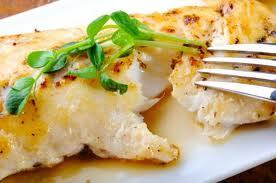 Season the fish fillets with salt and pepper, sprinkle with lemon juice and set aside. Melt margarine in a pan and add spring onion and lightly fry. 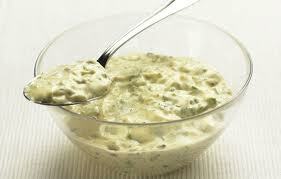 Prepare KNORR Classic White Sauce by adding sachet contents to a jug and pouring in boiling water. Stir with a fork for 1 minute until thick. Stir spring onions into white sauce and add cheese and curry powder. 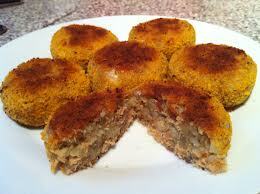 Grease a baking dish and spread the rice on the bottom and lay the fish fillets on top. Pour sauce over and sprinkle with Paprika. Bake at 200 °C for about 30 minutes. Strooi kaas oor bak +- 40 min tot mooi goudbruin en gaar. Roer vis en tamaties by uie mengsel. Verhit tot kookpunt. Sit deksel op en prut vir 5 min totdat vis maklik vlok. Plaas die vis in ‘n gesmeerde bakskottel. Gooi die rys oor die vis. Meng die res van die bestandele en gooi oor die vis. Bak vir 30min in warm oond (200°C) tot vis en rys gaar is. Meng alles vir sous saam en giet oor vis. Bak bye 180 grade C tot ligbruin. Bedien saam met kapokaartappels en slaaie. Kook vis in water en sout, as hy gaar is maak hom fyn en sit apart. Kook aartapples en mash met botter en melk. Smelt botter in ‘n pan en braai ui op lae hitte tot sag. As dit klaar is sit ook apart. In ‘n klein pot smelt botter en voeg meelblom by meng tot dit ‘n “paste maak” voeg dan op lae hitte room en roer tot dik effens dik raak. Haal van stoof af. In ‘n oond bak sit een laag mash dan bo een lag room sous dan vis. Sit bo op vis weer sous en uie. Bo op sit die res van mash op , met res van Room sous. Bedek met brood krummels. Sit in die oond en bak tot krummels goud bruin is. Bedek vis met ‘n mengsel van meelblom, sout en paprika en rangskik in ‘n lig gesmeerde bakplaat sodat almal inpas. Verhit olie en soteer ui, soetrissie en sampioene. Wanneer sag, geur met sojasous en peper. Roer genoeg karringmelk in om klam te maak en giet egalig oor vis. Bak 20 – 25 minute onbedek by 180 °C tot gaar. Plaas die botter en die sampioene in n oondskottel en bak dit vir 15 minute lank by 200 C Meng intussen die koekmeelblom, sout, peper en paprika. Bedek die visporsies met die meel mengsel. Plaas die vis bo-op die sampioene in die oondskottel. Plaas eers die ui en dan die speserye op die vis. Gooi die wyn en room bo-oor. Bak dit vir 30 minute lank. Be sure to make plenty because this calamari may not even make it to the table! In a bowl mix together the cake flour and KNORR Garlic & Herb Potato Bake. Dip calamari rings into the egg first and then into the flour mixture. Lightly fry the calamari until the crumbing is lightly golden brown. Remove calamari from oil and allow to drain on paper towel. To prepare the rice sauté the mushrooms and chives in a pan until cooked then stir this together with the lentils into the cooked rice. Serve the calamari rings with the rice and a side salad. Magda Labuschagne ‘n Tannie van my het altyd jare gelede die calamari eers met koeksoda gestrooi en laat le. Dan goed gespoel. Gese dis om dit sag te maak. Rowan Fitzgerald Using calamari steaks cut into strips is a lovely, tender alternative to using rings. Runé Le Roux Hugo Ek braai my calamari in 1E botter, 1E olyfolie met cajun spice na smaak. 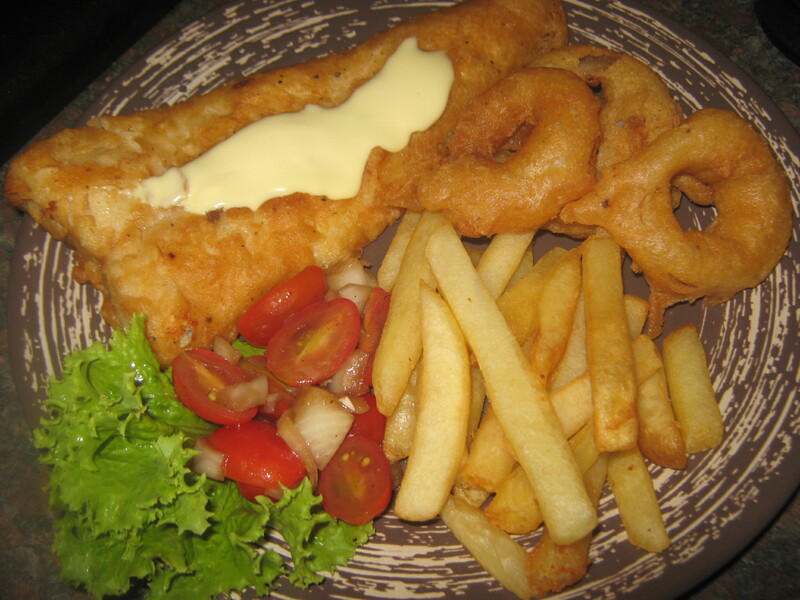 Of ek maak gevulde calamari tubes, vul dit met roomspinasie. Runé Le Roux Hugo ‘n halfuur in melk is genoeg, maar as ek myne uit die vrieskas haal, gooi ek dit in melk en laat dit in die melk ontdooi. Dorethea Roman Ek gooi in my deeg, meel, paprika en aromat! Dis al!braai in diep olie!Glo my dis heerlik sag! Marileen Naude Ek laat le dit gewoonlik in melk vir ‘n halfuur om dit sagter te kry. Jy kan ook karringmelk of amazi gebruik. Clean calamari, rinse under running cold water. Slice and marinate for 1 hour in lemon juice. Drain and dry thoroughly. 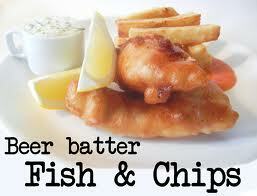 Dip calamari slices in batter and deep-fry in heated cooking oil until crisp, golden-brown and cooked. Be careful not to overload the deepfat fryer as it will cool off the oil too rapidly and the calamari might become soggy. Drain calamari on paper towel and serve immediately. Meng room, chilli sous en knoffel in ‘n kastrol op die stoof. Laat prut. Gooi calamari by en prut vir 5 minute. Bedien op rys. Sit die calamari steaks in ‘n ziploc sakkie en gooi die marinade sousie in. Laat marineer vir so halfuur tot 2ure. In ‘n warm pan, gooi olyfolie en 2 eetlepels margarien. Braai die steaks vir 2-3 minute aan ‘n kant. Skep steaks uit. 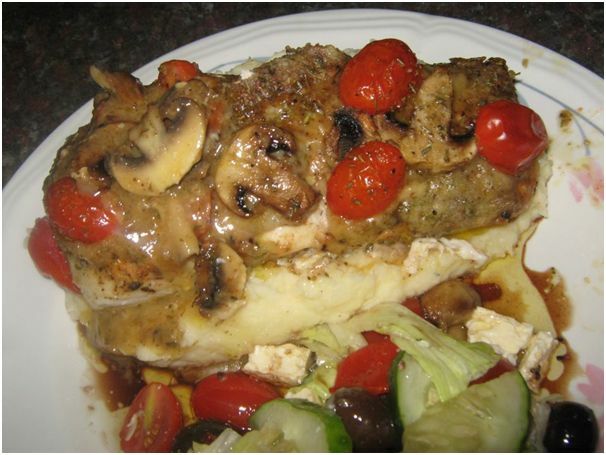 Gooi orige marinade by die pan en bring tot kookpunt. Gooi vars room by as jy ‘n roomsousie verkies en bring tot kookpunt. Gooi oor steaks en eet dadelik. Word taai en proe soos rubber as dit te lank staan of te lank aan ‘n kant gebraai is. 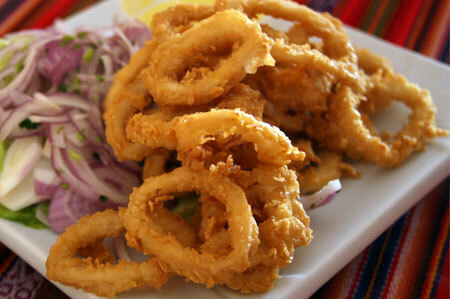 The word calamari is the plural form of the Italian word for squid, calamaro. Squid is a popular food in many parts of the world because almost the entire body of the squid can be eaten. rubber bands’ but when properly prepared it is a surprisingly tender and delicious seafood dish. Preparation stage 1 h before starting the stuffed calamari recipe: (1) soak the dried black mushrooms in a small bowl of water; (2) leave the ground pork in a large bowl and the calamari on a plate at room temperature to unthaw. Soak the frozen calamari in warm water and put them on a plate (1). Gather 2 teaspoons of sugar, 1 teaspoon of salt and 1 teaspoon of black pepper (2). Dice the onions (3). Dump the water from the bowl with the black mushrooms and cut the black mushrooms with a pair of scissors (4). Add the black mushrooms, salt, sugar, pepper and diced onions to the bowl of ground pork (5) and then mix (6). Wash your hands and dry them on a clean paper towel (do not dry your hands on a used cloth). Thread a needle (if you don’t know how to do this, click here for a guide with pictures). Have a pair of scissors handy. With one hand, squeeze the calamari gently so there is a hole at the top (1). Simply use your other hand to stuff the pork mix into the calamari (2). Sew the opening so the stuffing stays inside when you will be cooking it later (3 to 7). You can also view the video right below if you’re not sure how to sew it. Take the scissors and snip off the thread (8). Repeat this with all of the calamari’s. Take a toothpick and poke holes in the stuffed calamari on both sides (tip: this is to let the steam escape when you will cook them so it’s best to poke as many holes as possible) (9). Pour about 2 tablespoons of oil in a frying pan (1) and turn the heat up to medium (2). Dice 1 clove of garlic (3) and throw it in the frying pan (4). 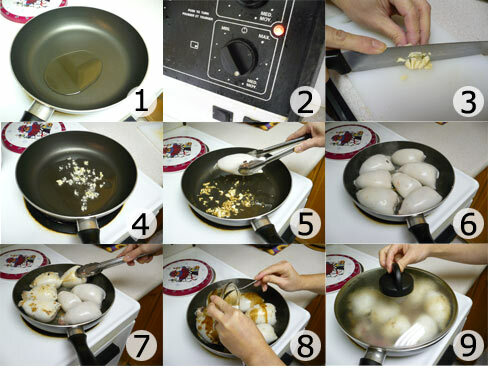 With a pair of tongs, place the stuffed calamari in the frying pan (5). Let them cook for about 5 min on one side (6) and then turn them over (7). You may choose to poke more holes in the calamari at this point if the meat stuffing is starting to come out. Caution, hot juices from inside may spill out when you poke more holes, so stay far away and make sure you wear an apron. In a small bowl, mix 3 teaspoons of soy sauce and 2 teaspoons of sugar. Add this mixture to the calamari in the frying pan (8). Add 1/2 cup of water to the frying pan, cover and let it simmer over medium heat (9) for 15 min. Every 5 min, use the tongs and turn the calamari over so both sides are cooked evenly. Add the green onions and let them cook for 2 min (optional). 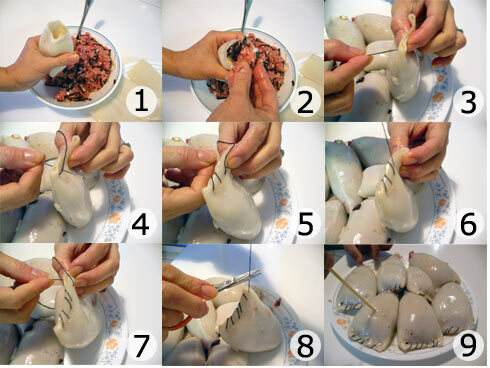 Use the tongs and place transfer the cooked stuffed calamari in a plate or bowl (1). Let them cool down for 15 min (2). With washed hands, take out the thread once they’ve cooled (3). Soak porcini mushrooms in 2 cups hot water for 30 minutes. Sauté onions in olive oil until soft, 2-3 minutes. Combine all of the ingredients, except the squid and tomato sauce, in a bowl. Mix well. Stuff the mixture into the squid. Do not overfill or they will burst during cooking. Close the end of the squid with a toothpick. Pour a little of the tomato sauce in the bottom of a casserole dish. 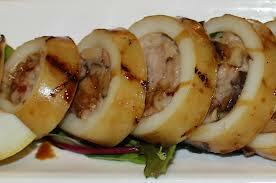 Place the stuffed squid on top. Pour a little more sauce over each. Cover and bake in a 350 degree F. oven for 30 minutes. Remove cover. Sprinkle Parmesan cheese over and cook an additional 5-10 minutes. Clean the squid by removing the head, fins, and all contents in the body. Peel off the skin and rinse the tubes. Remove the tentacles from the head. Chop the tentacles fine and set aside for the stuffing. Heat 2 tablespoons of olive oil in a skillet and brown the chopped tentacles. Add garlic and cook for another minute. Remove from heat and set aside. In a bowl, combine the breadcrumbs, anchovies, capers, pine nuts, raisins, 1/2 cup parsley and eggs. Add the tentacle mixture. Season with salt and pepper and mix well. 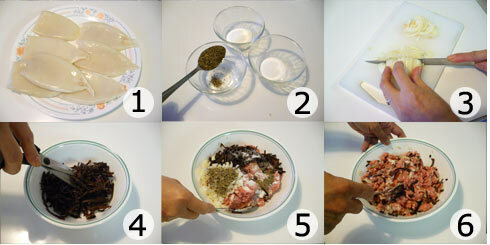 Stuff the squid tubes with the mixture and seal each with a toothpick. Place the remaining olive oil in a skillet over medium heat. Add the stuffed squid and brown on all sides. Add the crushed tomatoes and bring to a boil. Cover and simmer for 20 minutes or until tender. Transfer to a serving platter and garnish with remaining parsley. Place the tentacles in a saucepan with enough water to cover them. Bring to a boil, reduce to a simmer, and cook for 15-20 minutes, or until tender. Drain the tentacles and allow to cool. Finely chop the cooled tentacles. In a bowl, combine the ricotta, egg, pecorino, parsley, and cooked tentacles. Stuff the cheese mixture into each of the squid bodies. Seal each opening with a toothpick. Season the dredging flour with salt and pepper. Coat each stuffed squid with the flour, shaking off any excess. Saute the squid until they are golden brown on all sides, about 10 minutes. Remove the squid from the skillet and transfer them to a roasting pan. Drain the oil from the skillet and return it to the heat. Add the white wine and deglaze the pan by scraping up any brown bits. Continue cooking until the wine is reduced by half. Add the tomato sauce and cook for 1 minute. Pour the tomato sauce over the squid in the roasting pan. Cover the pan with foil and bake for 45 to 60 minutes until fork tender. Heat 1/2 cup of olive oil in a large skillet. Add half the shallots and sauté for 1 minute. Add the scallops, shrimp, salt and pepper, and cook for 3 to 4 minutes. Transfer the seafood with a slotted spoon to a bowl to cool. Add the chopped tentacles to the skillet and sauté until pink, 1-2 minutes. Transfer the tentacles with a slotted spoon to the bowl with the scallops and shrimp. Reserve the liquid in the skillet. 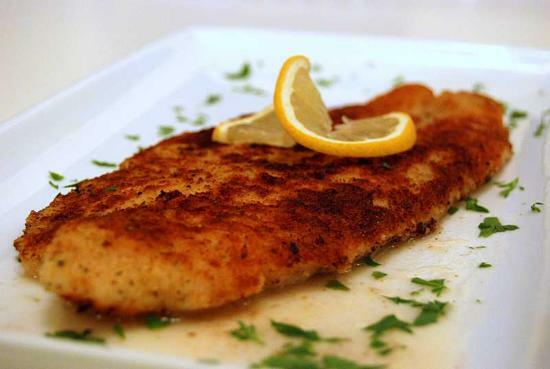 In a large bowl, combine the bread crumbs, 1/2 cup olive oil, parsley, and 1 teaspoon garlic. Season with salt and pepper. Mix well to combine. 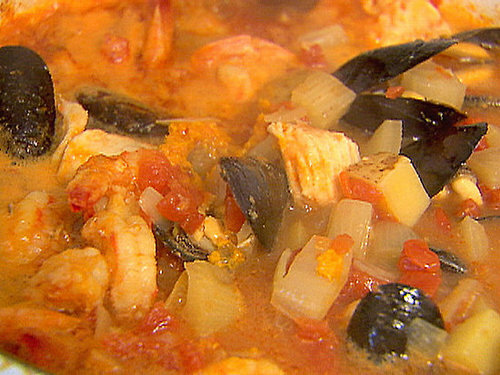 Add the cooked seafood to the bread crumbs and stir to combine. If the mixture seems too dry add a little more oil. Stuff each squid body with the seafood mixture and seal each end with a toothpick. Heat 1/4 cup of olive oil in a large skillet. Add 2 tablespoons garlic, remaining shallots, and red pepper flakes. Saute over medium heat until the garlic is lightly golden, about 2 minutes. Add the reserved seafood liquid from the skillet and wine. Simmer until the liquid is reduced by half. Add the stuffed squid and cook 7 to 8 minutes, basting often, until tender. Transfer the squid to a platter, pour the sauce over, and serve. Put the tomatoes, wine, parsley, and sugar in a saucepan. Clean the by removing the head and tentacles. Pull out the quill and rinse the bodies. Finely chop the tentacles and set aside with the squid bodies. Add the onion, fennel, and garlic and cook gently for 10 minutes until tender. Add the rice, saffron, red pepper flakes, and chopped tentacles. Cook a few minutes , stirring often, until the tentacles are opaque. Add the white wine and 6 tablespoons of the tomato sauce. Cook until the wine and tomato sauce has reduced into the rice. Add 1/2 cup water and continue cooking until the rice is tender and the liquid is absorbed. Add the parsley and cool for a few minutes. Stuff the squid with the filling. Seal the ends with toothpicks. Add 1/2 cup of water to the remaining tomato sauce. Add the stuffed squid, cover the saucepan, and simmer for 30-45 minutes until soft and tender. Verhit oond tot 200 °C. Meng heuning, tiemie, kaneel en olie. Plaas patats in ‘n oondvaste bak en gooi heuning-mengsel oor. Bedek bak met tinfoelie en bak vir 25 – 30 minute of tot sag en gaar.Meng konfyt, botter, knoffel en suurlemoensap en -skil in ‘n klein potjie. Plaas oor lae hitte en smelt alles saam. Plaas snoek op ‘n toeklap-rooster wat gespuit is met kleefwerende sproei. Maak 6 snye in die vis se vel en verf met die bottermengsel. Plaas die vel-kant eerste oor die warm kole en braai stadig vir 5 minute. Verf met die botter-mengsel terwyl dit braai en draai om. Herhaal totdat die vis goudbruin en gaar is – sowat 15 – 20 minute. Sit warm vis saam met patats, stokbrood en appelkooskonfyt voor. Spoel snoek af en laat winddroog word. Strooi sout oor snoek indien ongesout. Verhit die res van die bestanddele saam tot die botter gesmelt is. Braai die snoek met die velkant na onder in ‘n toeklaprooster taamlik hoog bo die kole. Draai na ‘n kort rukkie om net om die snoek droog te maak. Draai dan kort-kort om en smeer goed met suurlemoenbotter. Moenie langer as 20 minute braai nie. Verhit al die bestanddele, behalwe suurlemoensap, saam tot kookpunt. 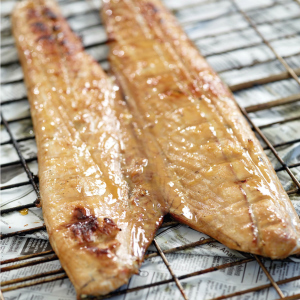 Verwyder van hitte, roer suurlemoensap in en smeer oor snoek terwyl dit gebraai word. Ek het ‘n paar kersietamaties ook bo-oor gesit voor ek dit gebak het. Ek het nie die lemon rind en ook nie die oreganum gebruik nie. Het nie in die huis gehad nie, het roosmaryn oorgegooi. Meng die koekmeel, mielieblom en borrie saam. Gooi die bier by en roer tot glad. Verhit ‘n dik laag olie oor matige hitte in ‘n kleefvrye pan. Geur die vis met sout en peper en doop in beslag. tot deurgaar en goudbruin alkant. Ek maak al die jare die bierdegie, maar het nog nooit die vis eers in droe meel gerol en dan in die deeg gedruk ni. Ek het dit altyd direk in die deeg gedruk, met die gevolg dat my degie partykeer afval. Was ek nou verras om te sien hoe lekker die wenk werk met die droe meel eerste. Al 4 my stukke het perfek uitgekom, en nie 1 stukkie het afgebak nie.My vis was ontvries gewees. Rol jou vis in die meel, en druk dan in die bierdegie. Braai in warm olie – ongeveer 1cm diepte olie tot goudbruin aan beide kante. Gooi jou uie in yskaswater en so 3 blokkies ys vir so 10 minute. dreineer water af en druk jou uie in dieselfde bierdegie en “deepfry’ in warm olie. Braai net so 4 of 5 stukke op een slag dat dit nie aanmekaar vassit nie. Hulle pof so lekker mooi op. Jy kan selfs jou sampioene met dieselfde degie maak. Gooi bietjie suurlemoensap oor jou vis en ‘n bietjie mayonaise. Bedien met uie en tamatie salsa, skyfies of potato wedges, suurlemoenrys of kapokaartappels. Meng al die bestanddele in ’n mengbak. Dit is ’n losserige mengsel. Verhit genoeg olie vir vlakbraai in ’n elektriese braaipan wat op medium hitte gestel is. Rol die vismengsel in balletjies en druk plat. Bak die viskoekies 5 minute aan die een kant, draai dit om en bak nog 5 minute aan die ander kant. Plaas die koekies op handdoekpapier om die ergste olie te absorbeer. Sit voor saam met kapokaartappels en ertjies. 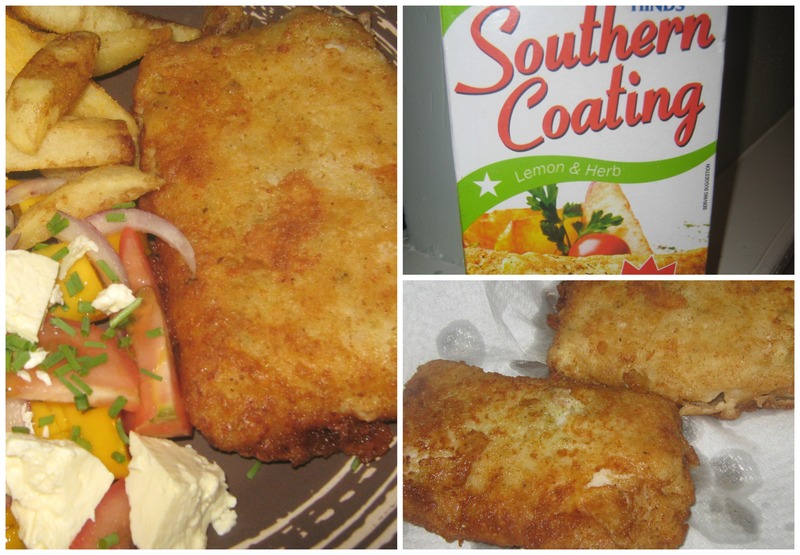 Meng halwe koppie meel met 2 eetl Lemon and herb Southern Coating speserye. Druk in meelmengsel, dan in eier en melk mengsel, dan weer in meel mengsel. Ek het dit bedien met skyfies, ‘n mango, tamatie en fetakaas slaai. Foelie (blink kant na binne) in blokke groot genoeg om Hake in toe te draai. Meng olyfolie, appelasyn/witwyn, suurlemoensap in bottel en skud goed. Sit Hake op foelie. Sit country herb & garlic spice en sout en gemaalde swartpeper op Hake. Layer nou uie, tamatie en gerasperde kaas en feta bo-op. Bedruip elke fillet met sous in bottel. Maak foelie toe en bak vir 25 minute @ 200 grade C.
Hake filet genoeg vir jou gesin. 1 koppie fyn gekapte uie. Meng yoghurt, room en sop saam tot ‘n gladde sous. Pak die vis in ‘n oondskottel. Sprinkel ‘n bietjie kaas op die vis. Gooi nou die sous bo-oor. Sprinkel die pietersielie oor, gooi res van die kaas oor en bak in die oond vir 40 minute by 180 grade C.
1 Meng die krummels, pietersielie, suurlemoenskil en rissie. Doop die vis in die geklopte eier en dan in die krummelmengsel. Verhit ’n bietjie olie in ’n groot pan en braai die visrepe tot goudbruin en deurgaar. 2 Sit dit voor met geurige rys, groenslaai, suurlemoenwiggies en tartare-sous. Karen Neethling Vd Merwe Sprinkel met vars suurlemoensap, klontjie botter, Maldon sout, vars gemaalde swart peper in ‘n foelie bakkie en bak in die oond, plain en maklik. Toni Louw-Corbett Marie, weet jy my pa was lief of sole net so op ‘n bakplaat in die oond by 180 C te sit aan altwee kante gesmeer met suurlemoen en botter en dan net so op te dien met ‘n kaassous. Hoop dit help. Anton Scheepers Maak eers skoon en trek vel af. Glo dit is die belangrikste gedeelte van enige Sole Resep!!! Aromat, wit peper en bedruip met so bietjie suurlemoen. Laat rus vir so 10 minute. Maak gaar in non stick pan met genoeg botter op medium hitte. Charmaine Amery Kirsten Jy bak dit net in regte botter. Marileen Naude Ek braai dit in ‘n pan, ook met botter en suurlemoensap, en dan pietersielie by. Dit moet regtig maksimum 5 min aan ‘n kant gebraai word, anders is dit uitgedroog. Anne-Marie Victor Ek verkies sole in die oond grill met net gesmelte botter, suurlemoensap en sout oor. Rian Olivier In n pan met bietjie botter , sout , pepper en suurlemoensap! Madeleen Grobler Ons het altyd Sole gespice met di Visspice van R. Dan in botter gebraai. Skoonsus het ‘n paar aande gelede te lekker daaraan geeet. Mariè Wilkins Baie dankie vir julle hulp ek gaan somer more prober. Ellen Jansen van Vuuren Ek het dit in n glasbak gesit. Spice na smaak. Gooi room oor met gerasperde kaas en bietjie botter. Bak in oond vir so om en by 45 minute. Jy eet jou vingers af. Karina Marais Rol in meel, dan in eier en braai in pan vir effense degie. Heerlik met suurlemoensap of kaassous bedien.